England boss Gareth Southgate has backed Raheem Sterling to keep on improving. The forward has been in sparkling form with Manchester City this term, most recently scoring a hat-trick against Watford on Saturday, as well as during his involvement with the Three Lions in the second half of last year. And having observed Sterling closely since first working with him as U21s head coach in 2013, Southgate believes he’s seen enough from the former QPR youngster to know there’s more to come. 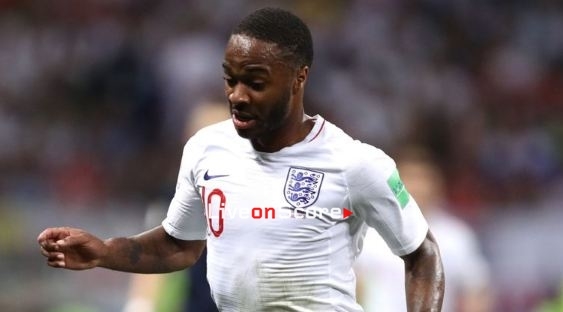 “The thing that stands out with Raheem, and we worked with him briefly with the U21s before he moved up quickly with Roy [Hodgson], is that he’s so tenacious,” explained Southgate, during an interview with talkSPORT. “His recovery from setbacks and his resilience to keep proving people wrong, or responding in the right way to those challenges, is incredible. “He’s gone to a big club [Liverpool] when he was very young, dealt with that and got himself in the first team, then made a big move with a big profile to Manchester City and dealt with that. “New players have been signed every summer [at City] and he might be thinking his place is under threat and he’s come through that. He keeps responding to those challenges and he’s still only 24-years-old. “Given his age, you’re constantly learning the game, but at 24 you’re still learning new things and you can see with the areas that he gets into now, he’s more confident in front of goal. “He’s working with a fantastic coach [Pep Guardiola] at his club and those things will only improve him. Southgate will name his squad for this month’s EURO 2020 qualifiers with Czech Republic and Montenegro on Wednesday 13 March.